The annual NY2LA Sports Next Level Invitational had a successful day 2 as young prospects were going hard all day long to try and advance in the NY2LA Basketball Association championship rounds. College coaches from programs across the country were lined up all day long taking in the action. Here are some of the prospects that stood out to me on Thursday. Jayshawn Moore – 2020 (REACH Legends 16u) - Moore continues to impress showing off his skill, size, and athleticism. The 6-4 shooting guard was scoring the ball from all over the floor and doing so in fashion. He uses his length to finish above smaller defenders and on defense where he disrupts passes and shots at a high rate. Moore is a Division 1 prospect who has an early offer from Clevland State. He finished with 19 points in REACH Legends win over Made Men. Austin Garner – 2020 (3D Empire 16u) - Garner was on fire for 3D Empire all game long and was a big reason in why they were able to pull of the win over a talented Yanders Law team. There wasn’t a spot beyond the arc that he didn’t feel comfortable letting it fly as he was hitting big time shots throughout the game. Garner showed a little bit of game inside too and finished around the rim a couple of times using some creative finishes. He finished with a game high 28 points. Brayden Dailey – 2021 (WI Swing 15u) - Dailey had a breakout performance Thursday afternoon dropping a game high 33 points in Swings win over MBA Select. Dailey put on an offensive show as he showed that he can score from all three levels and do so in fashion. The 6-5 wing threw down an impressive dunk that had the crowd on their feet and was able to carry that momentum throughout the game. Dailey is a legitimate division 1 prospect who is just scratching the surface of his potential. 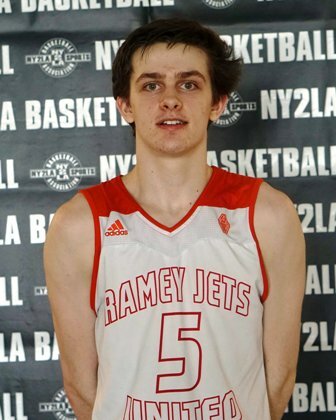 Ray Adams – 2019 (Ramey-Jets United) - Adams proved once again that he is one of the best three-point shooters in the association in both games Thursday. He is dangerous on the wing when he shoots off the catch and he proved that he can create his own shot as well. After he hits his first or second shot the 2019 prospect gains more and more confidence and starts to let it fly from no matter where he is on the floor. Adams hit a huge three in the final 30 seconds of the game to pull Ramey ahead of REACH and then hit 2 clutch free throws to ice it. He finished with 18 points. Devon House – 2019 (Quad City Elite 16u) - The strong physical 6-8 forward has continued to establish himself as a division 1 prospect. House runs the floor well and has proved that he is a good athlete and can do more things with the ball then people might think. He has a solid handle for his size and is a good passer. He is no doubt at his best while in the post where he has solid moves and can always seem to get a basket when called upon. He is a great rebounder and earns second chance opportunities for him and his teammates consistently. Dawand Jones – 2019 (Team Teague 17u) - Jones is an absolute force in the paint and makes sure his opponents feel his presence on both sides of the floor for the full length of the game. He got buckets in the post and displayed some impressive moves. He has nice foot work and some very nice soft hands. Jones is a two-sport standout (Football) and if he deicides to play basketball division 1 coaches need to take a serious look at him. 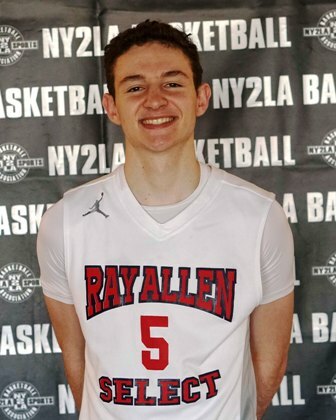 Donovan Clay – 2019 (Ramey-Jets United 17u) - Clay was impressive in the first two sessions of the NY2LA Basketball Association and has carried that momentum into July. The 2019 prospect is 6-6 with plus length and is a good athlete. He proved that he has a nice three-point stroke as he has been hot from beyond the arc thus far. Defensively he has been blocking shots and shown that he can defend multiple positions. Don't be surprised if he finds himself on a division 1 roster. Landon Wolfe – 2019 (IL Irish 16u) - Wolfe was excellent for Irish in their big win over a talented Team Teague team. Wolfe was knocking down midrange shots, finishing hard at the rim, and scoring off the bounce. The second team All NY2LA Basketball association wing was putting it all on the floor and showed why he is known as being one of the toughest players in the association. The 6-5 prospect finished with a team high 17 points. Cole Nau – 2019 (Ray Allen Select 17u) - Nau showed once again that he is a true floor general who brings the best out of his teammates. The point guard does what his coaches ask him to do and makes sure he is always making the right basketball play. He hit some big shots off the catch and off of the bounce. He makes smart and timely passes setting up his teammates for success. Nau is a division 1 prospect who has an offer from Air Force. He finished with 14 points in Ray Allen's elite eight win. Harlond Beverly - 2019 (REACH Legends 17u) - Beverly continued his strong play into Thursday and once again there was no shortage of high major coaches in attendance watching one of the top available 2019 prospects in the Midwest. He continues to showcase his full offensive game and was a monster on the defensive side blocking dunk attempts and layups all day long. Beverly has proved himself as one of the premiere players of the 2018 NY2LA Basketball association. Wendell Green Jr – 2020 (MI Playmakers 17u) - Playing up an age level Green doesn’t back down from any competition and is often the best scorer on the floor. The incredibly quick and shifty guard does everything in his power to put his team in the best position to win whether that be scoring or facilitating. Green is a legitimate division 1 prospect and his stock will continue to rise quickly. He holds offers from Oakland and Detroit among others. Green finished with 17 points in Playmakers tough win over Mercury Elite. Anthony Roberts – 2019 (Made Men 17u) - Roberts was productive for the talented Made Men team and was making all the hustle plays that coaches love. Roberts cleans the glass on both ends of the floor at a high rate. He hit a couple of three-point shots but is at his best when attacking the rim. Roberts is a great athlete which allows him to play bigger than he is.